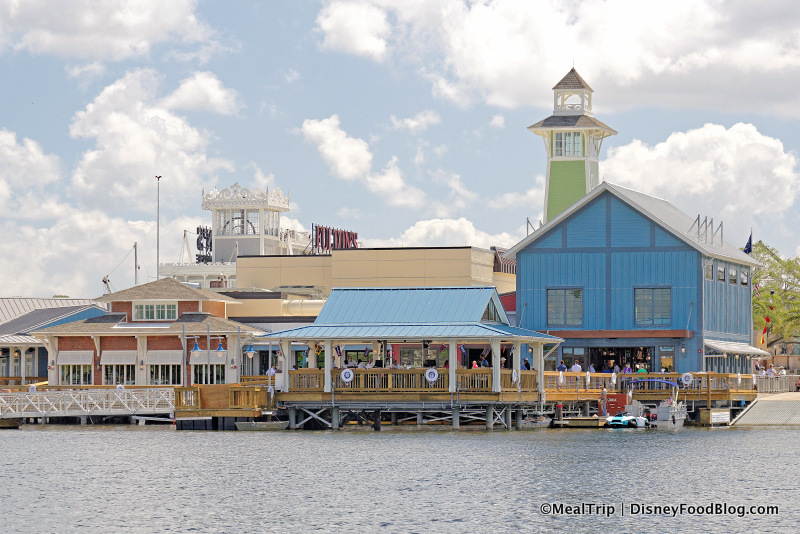 This Signature Restaurant in Disney Springs focuses on steaks, chops, and seafood. One of the menu items is a $115 Tomahawk Long Bone Rib Chop for Two (though less costly fare, including the award-winning Gibsons “Sandwich King” burger, is on the menu as well). Other items include The Boathouse Beach & Sea Lobster Bake for Two and The Boathouse Surf and Turf Table (for four). The raw bar serves three to five varieties of oysters in addition to Anastasia Gold caviar sourced from a local farm in Pierson, Florida. The Boathouse features seating for 600 (400 inside and 200 outside) so there’s not a bad seat in the house! 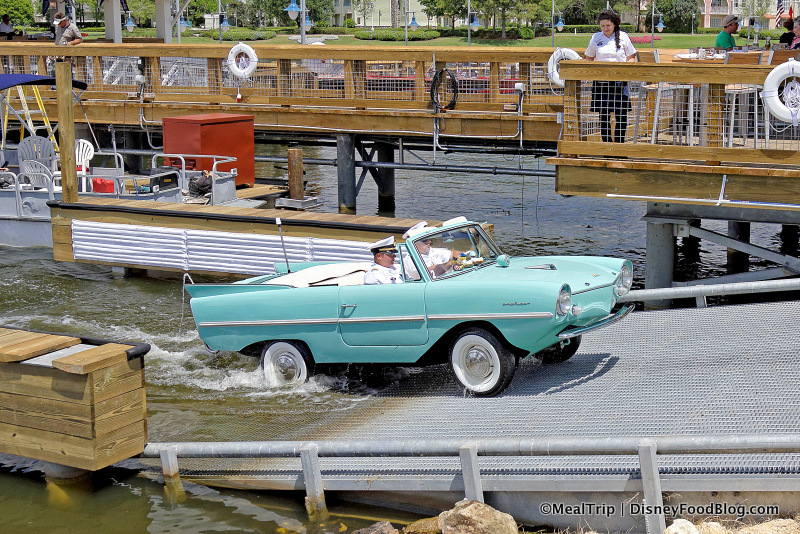 Another highlight of this new restaurant is the Amphicars! These cars that “drive” on water are just part of the entertainment at The Boathouse. 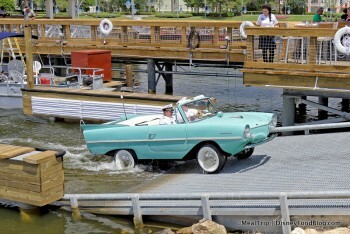 Learn more about Vintage Amphicar Tours here. Steaks, seafood, chops, and a raw bar are featured on this signature dining menu. 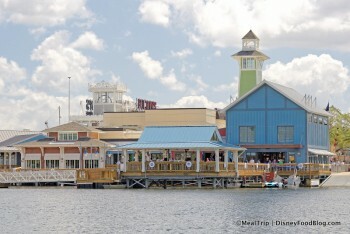 Disney Food Blog Review: The Boathouse in Disney Springs: Still Smooth Sailing or Adrift at Sea? In addition to the Amphicars, guests can also take a guided tour on the Captain’s 40-foot Italian Water Craft Taxi, The Venetian or the antique steamboat The Lady Rose. Famous Dishes: Beach and Sea Lobster Bake, Tomahawk Long Bone Rib Chop for Two.